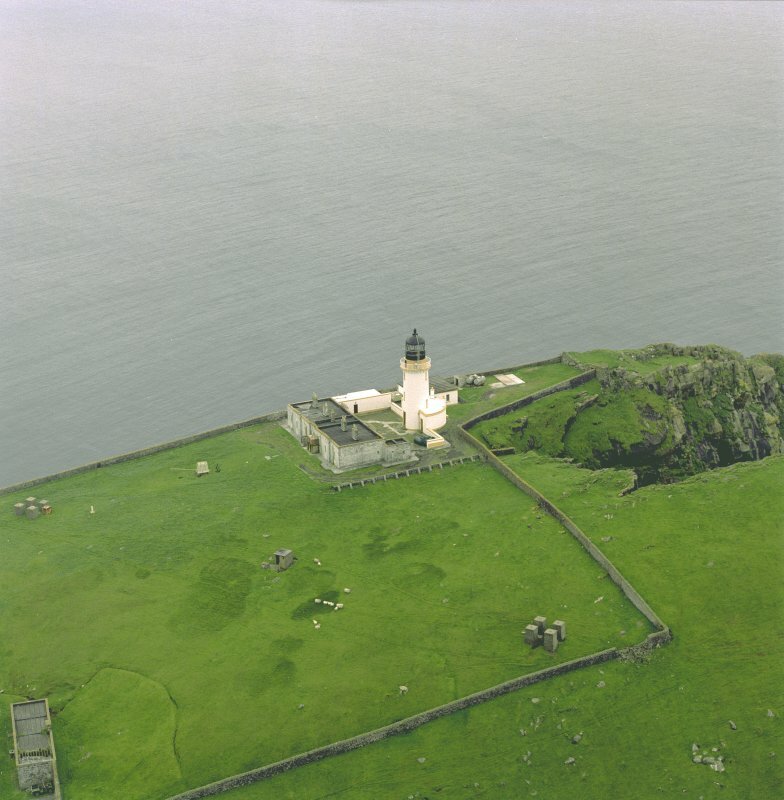 Oblique aerial view centred on the lighthouse with the remains of the dun adjacent, taken from the NE. 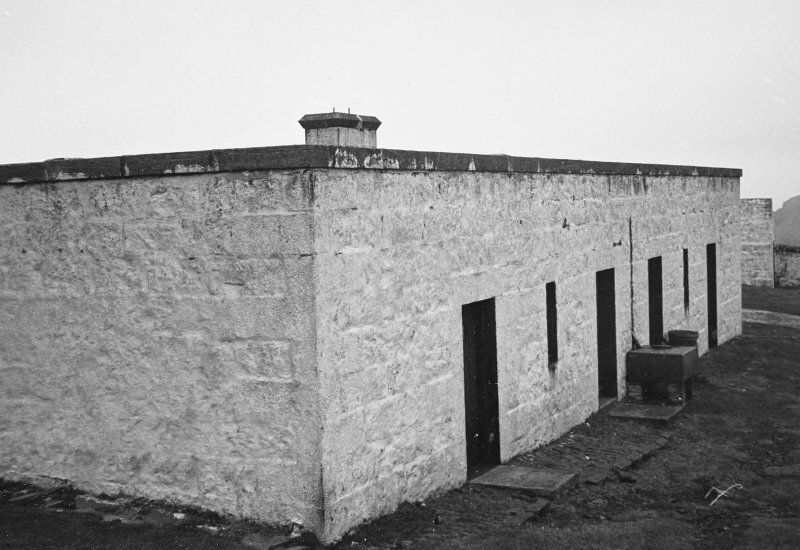 View of associated farm building from SE. 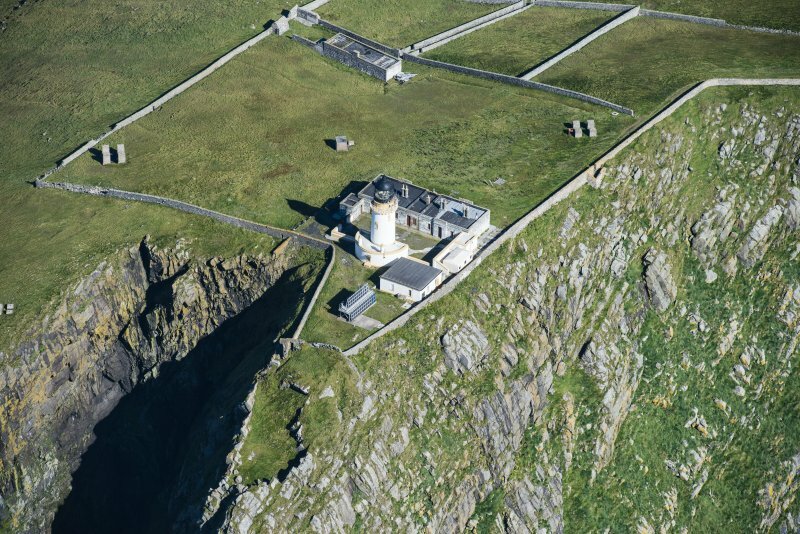 Oblique aerial view of Barra Head Lighthouse, looking S.
Oblique aerial view of Barra Head Lighthouse and the possible dun, looking E.
Oblique aerial view of the remains of Dun Briste and Sron an Duin, near Barra Head lighthouse overlooking the sea cliffs of Berneray, taken from the SW.
Oblique aerial view centred on Barra Head lighthouse, Berneray, with the remains of the dun adjacent, taken from the ENE. 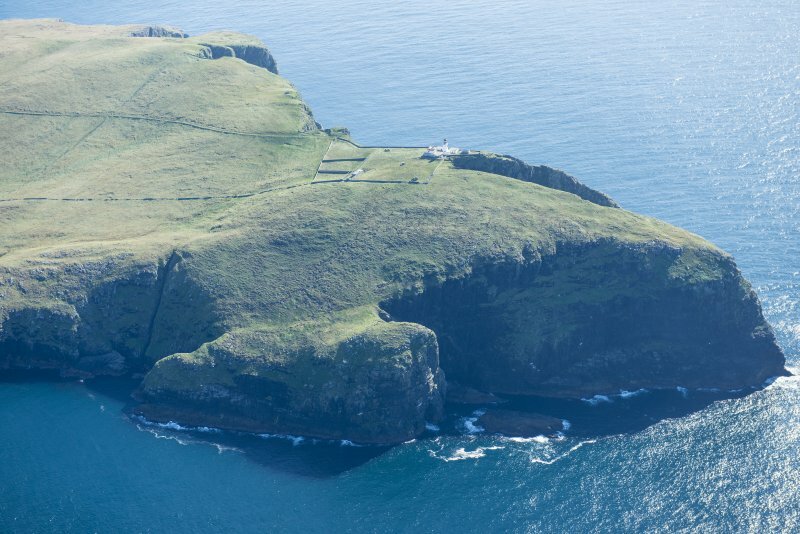 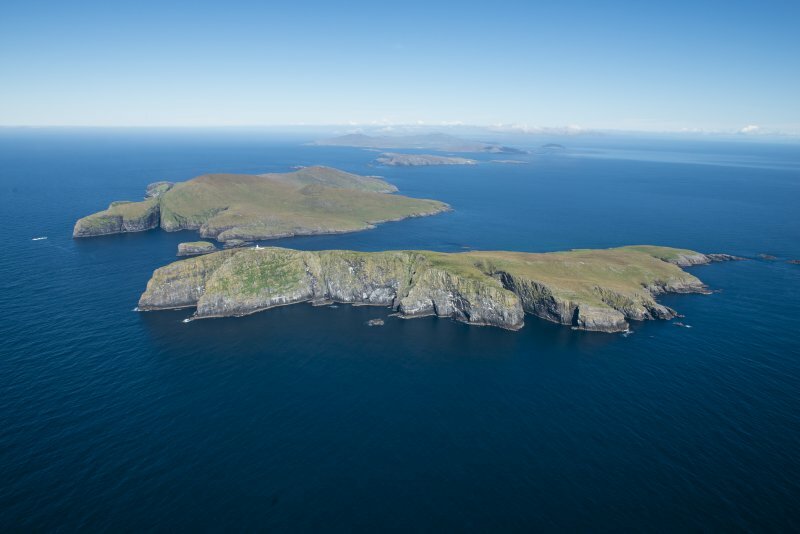 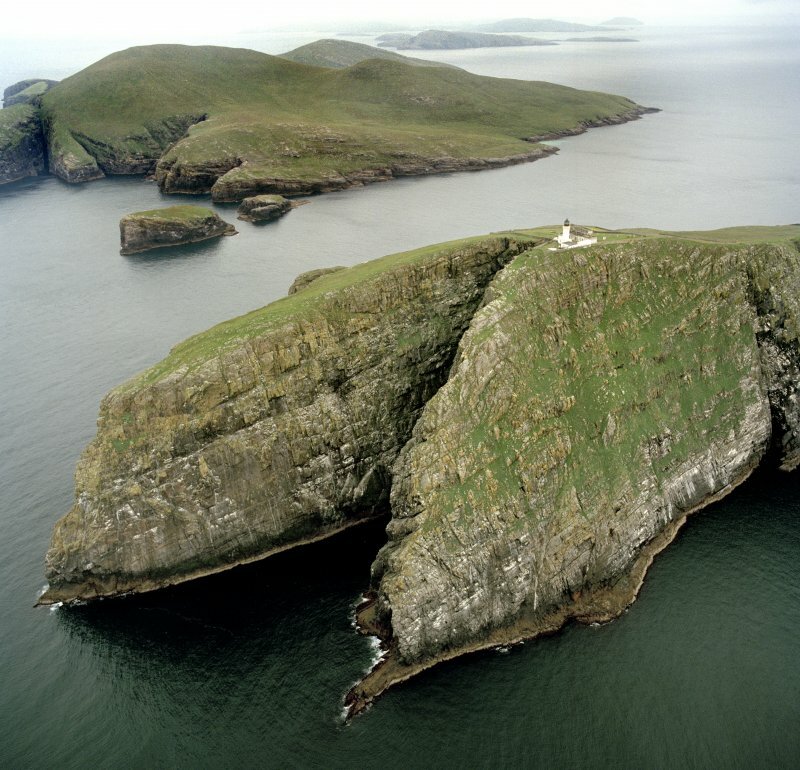 Oblique aerial view of the lighthouse with the island of Mingulay and those to the N in the background, taken from the SSW. 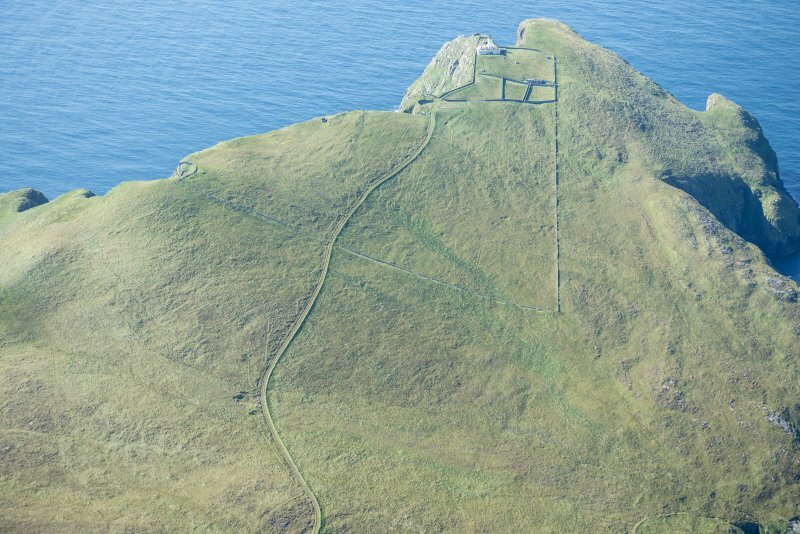 General oblique aerial view of Berneray with Mingulay beyond, looking N.
Oblique aerial view of Dun Briste and Barra Head Lighthouse, looking S.
Oblique aerial view of Barra Head Lighthouse, the field boundaries and the possible dun, looking SW.
General oblique aerial view of the remains of Dun Briste and Sron an Duin, near Barra Head lighthouse overlooking the sea cliffs of Berneray, taken from the S.
General oblique aerial view of the lighthouse with the island of Mingulay and those to the N in the background, taken from the SSW . 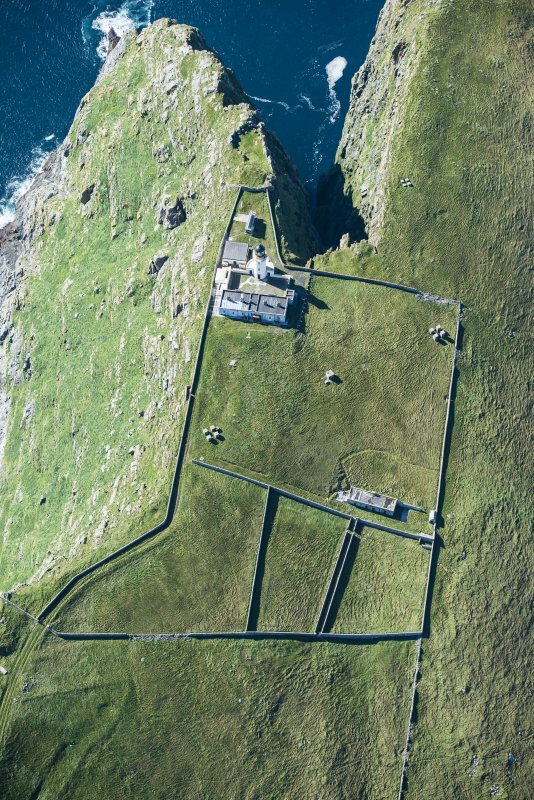 Oblique aerial view of Berneray, Barra Head lighthouse and Sotan Quarry, looking NW. 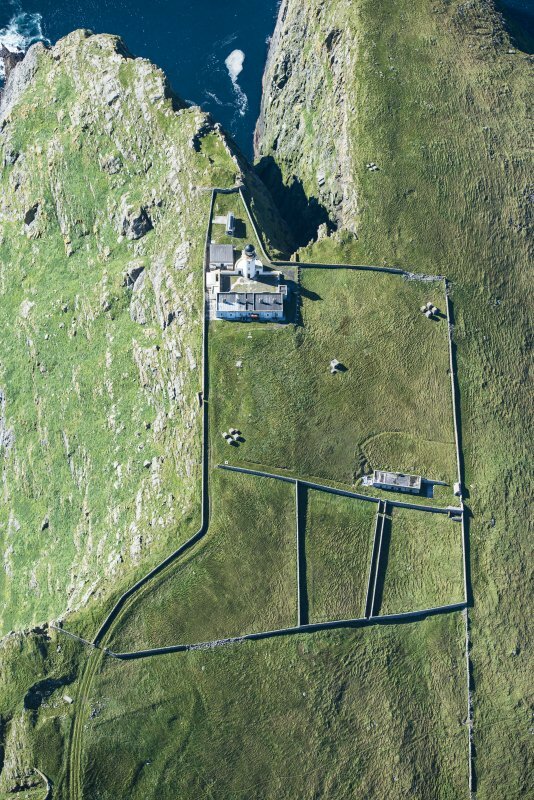 General oblique aerial view of Berneray with Mingulay beyond, looking NNE. 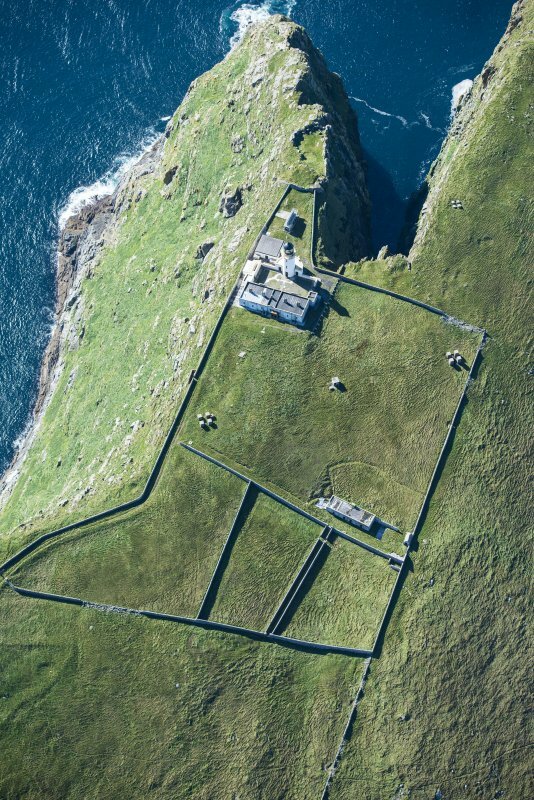 Oblique aerial view of Barra Head Lighthouse and the possible dun, looking SW.
Oblique aerial view of Barra Head Lighthouse, the field boundaries and the possible dun, looking W.
Oblique aerial view centred on the lighthouse with the remains of the dun adjacent, taken from the ENE. 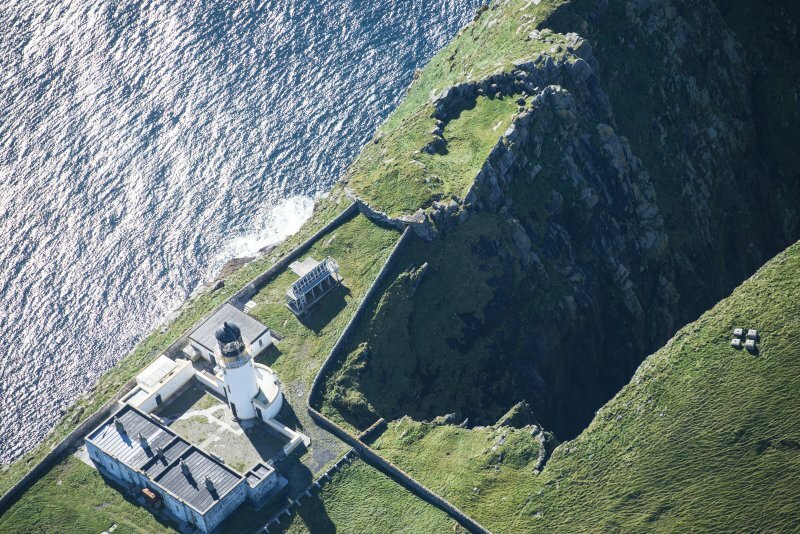 Oblique aerial view centred on the lighthouse with the remains of the dun adjacent, taken from the E.
Oblique aerial view of Barra Head Lighthouse and the possible dun, looking NW. 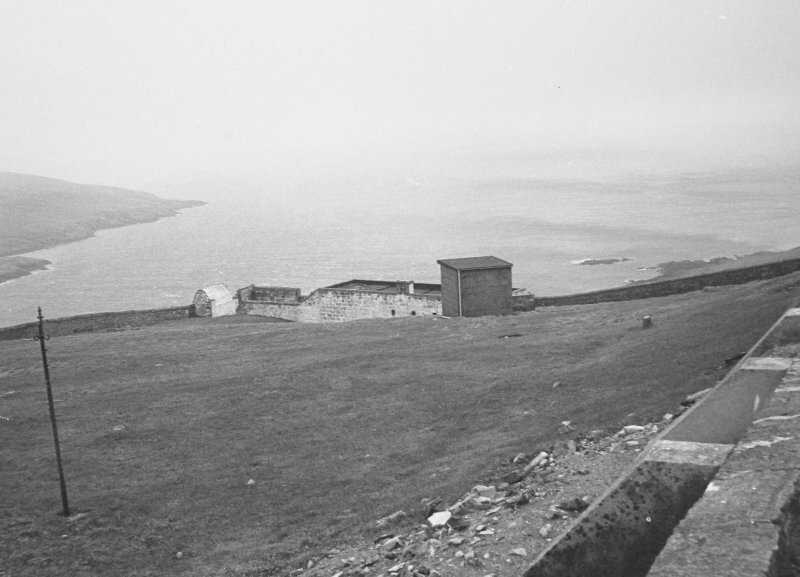 View of headland from lighthouse. 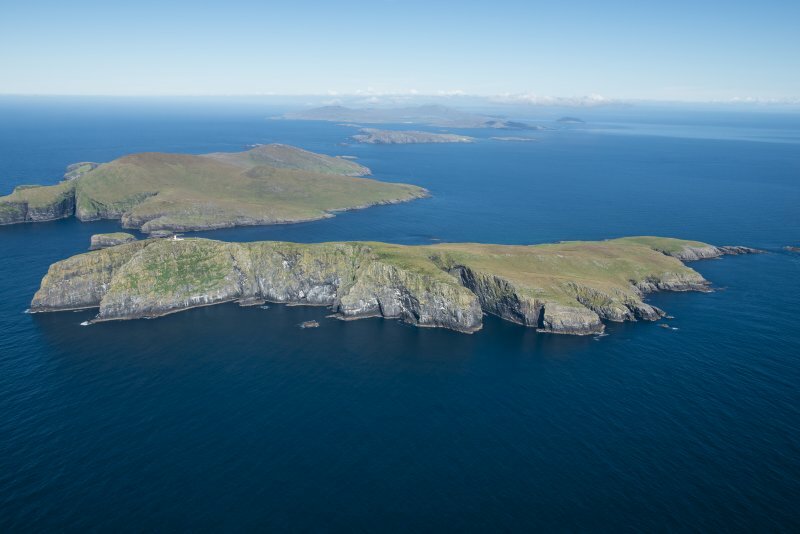 General oblique aerial view of Berneray and Mingulay with Barra Head in the foreground, looking NNE. 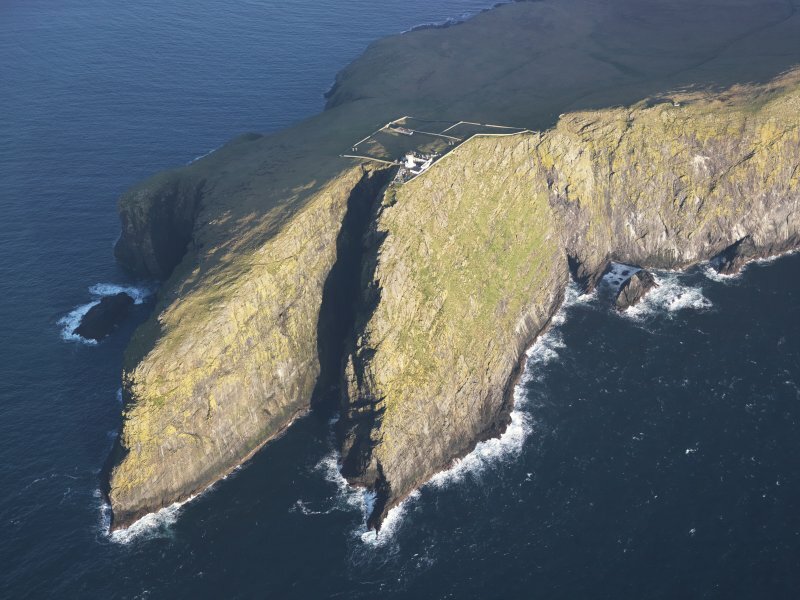 Oblique aerial view of Dun Briste and Barra Head, looking NE. 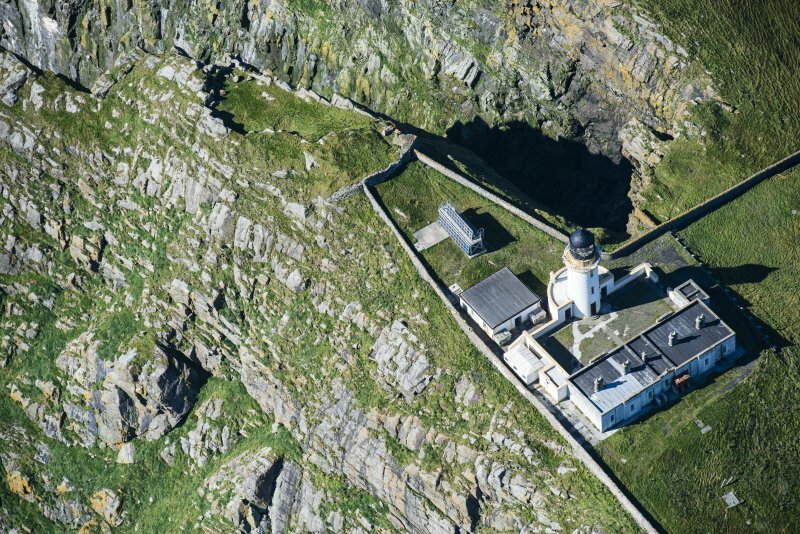 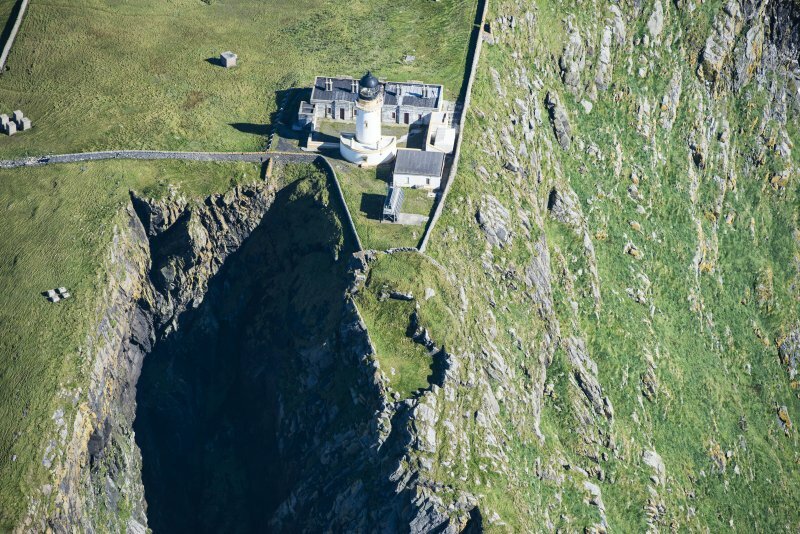 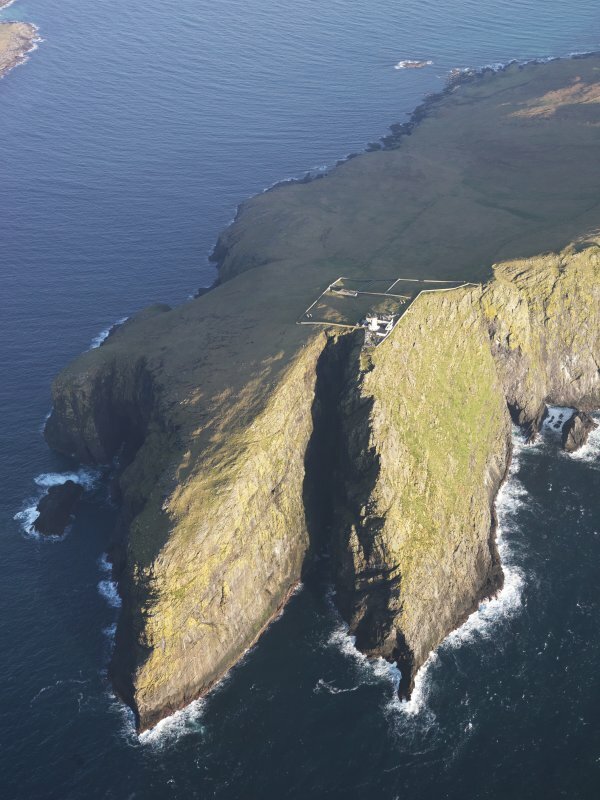 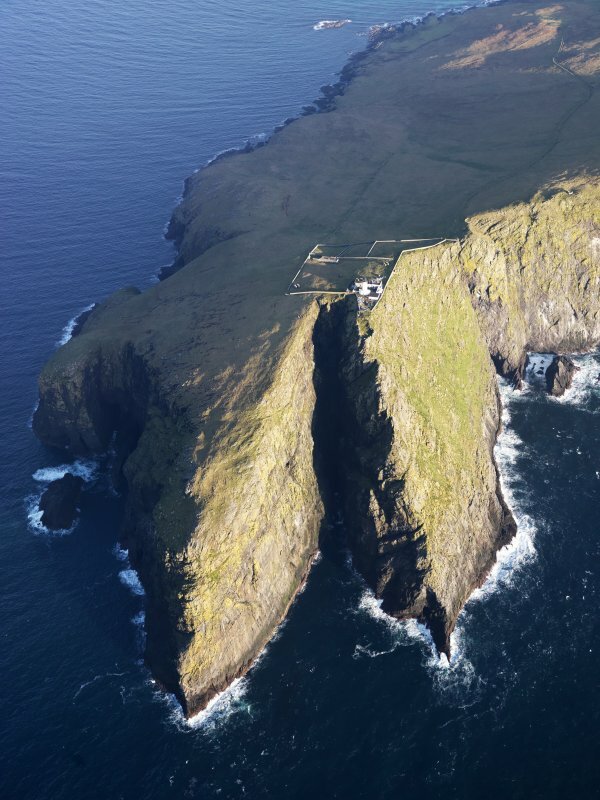 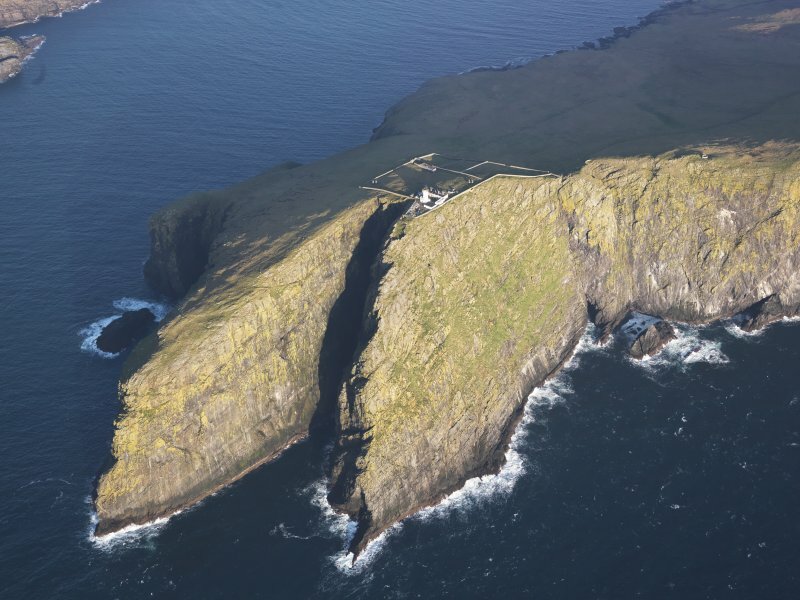 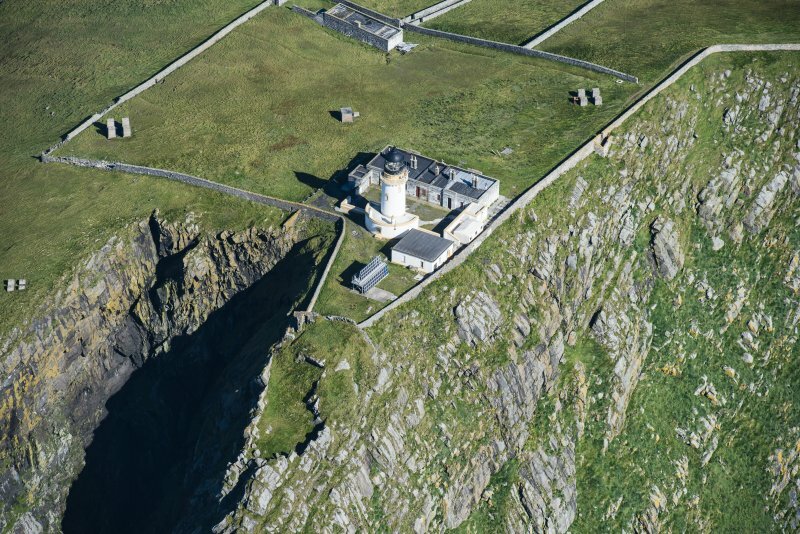 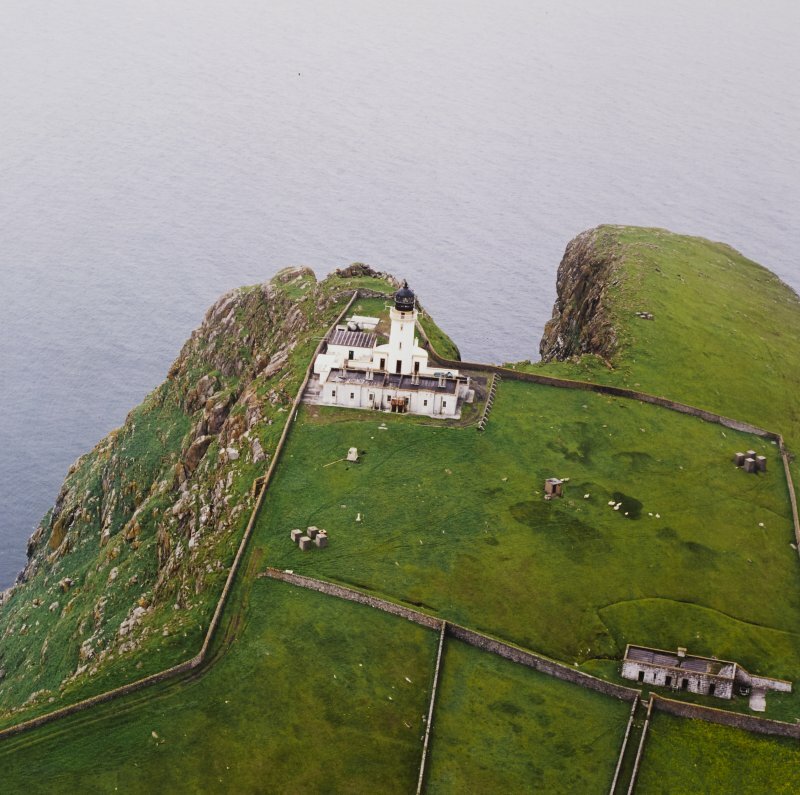 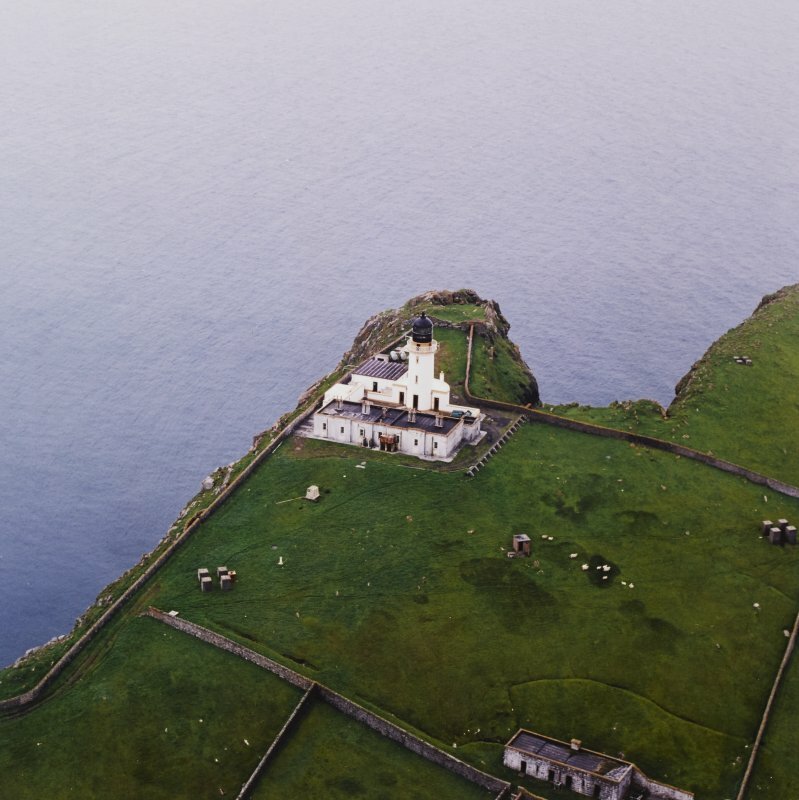 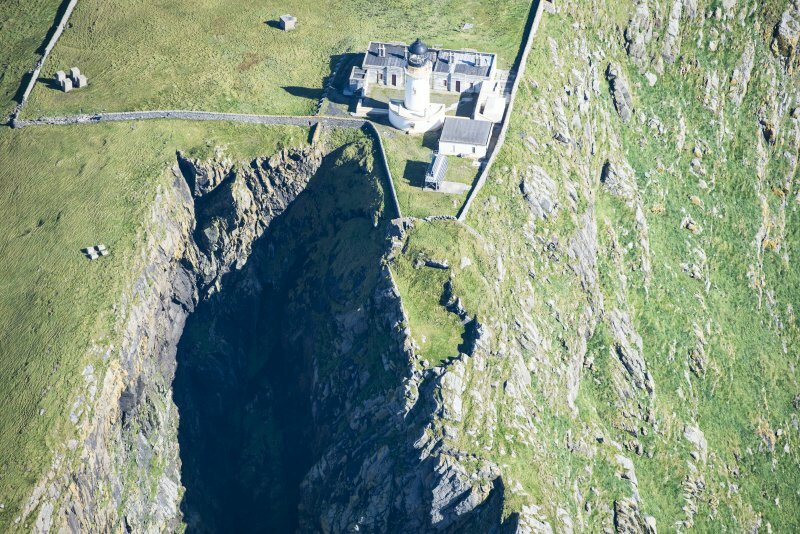 Oblique aerial view of Barra Head Lighthouse and the possible dun, looking WSW. 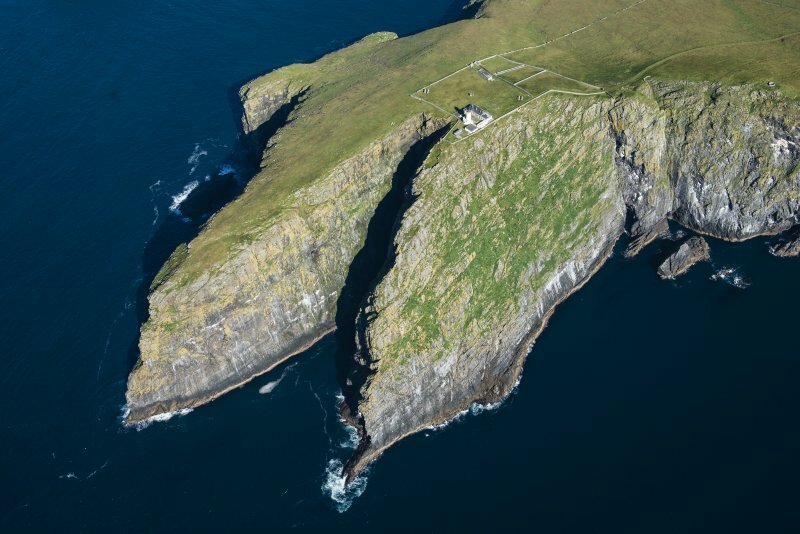 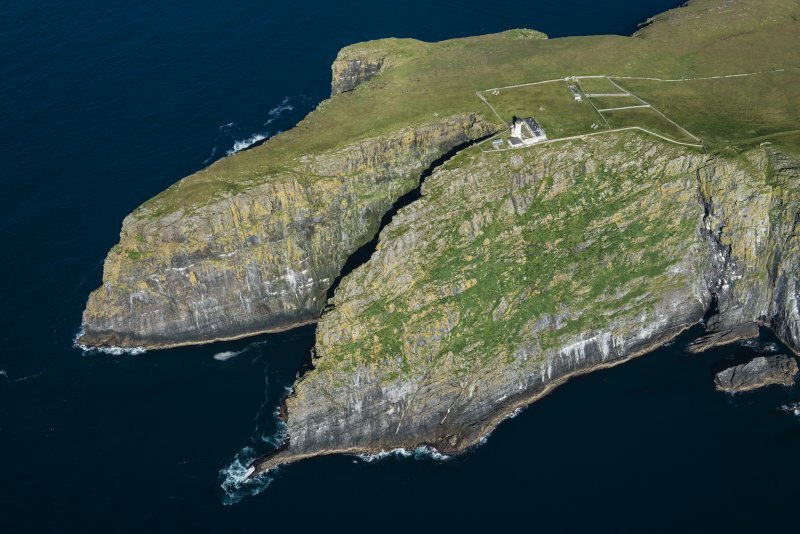 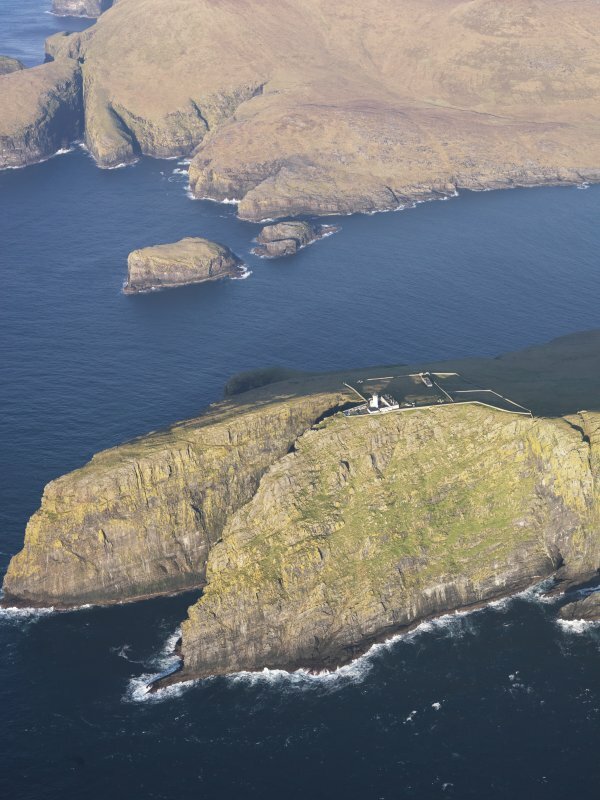 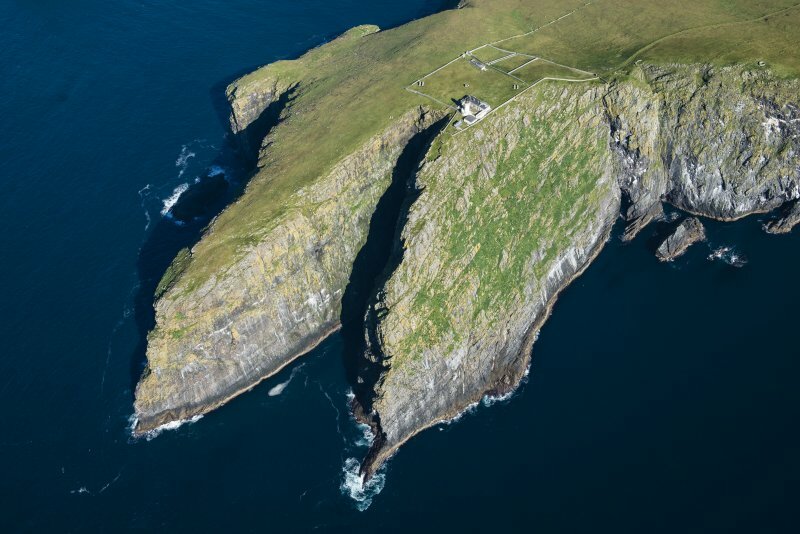 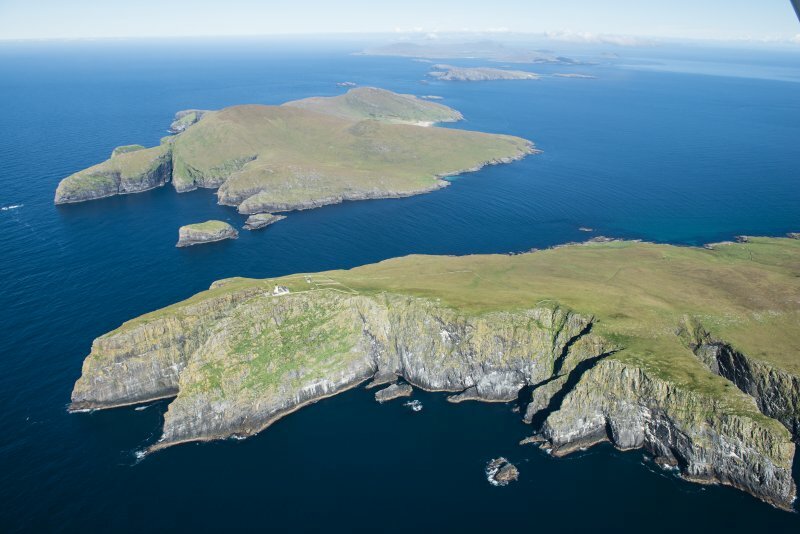 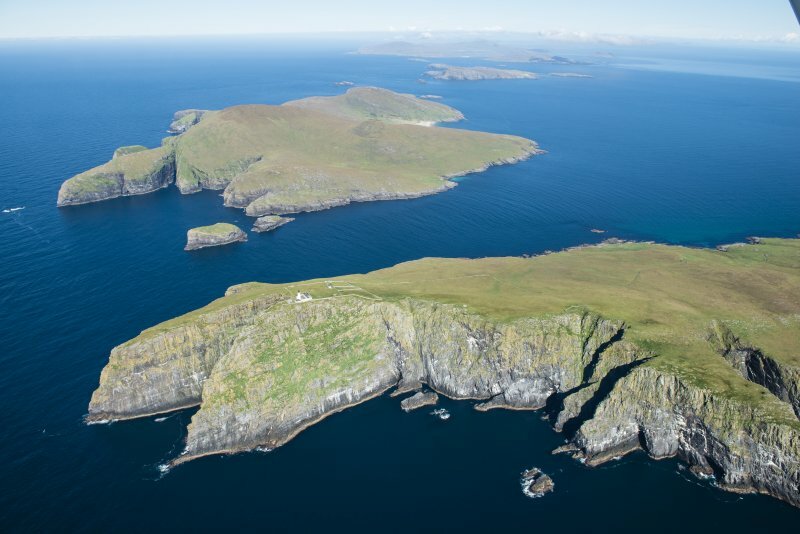 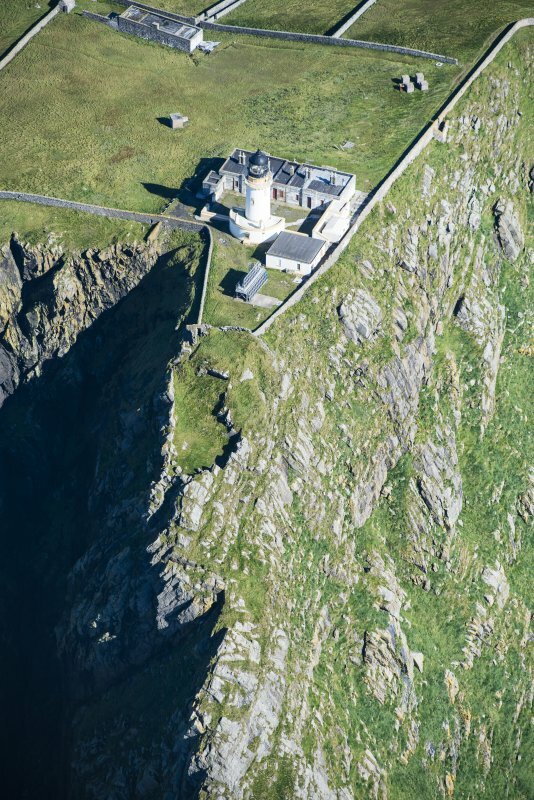 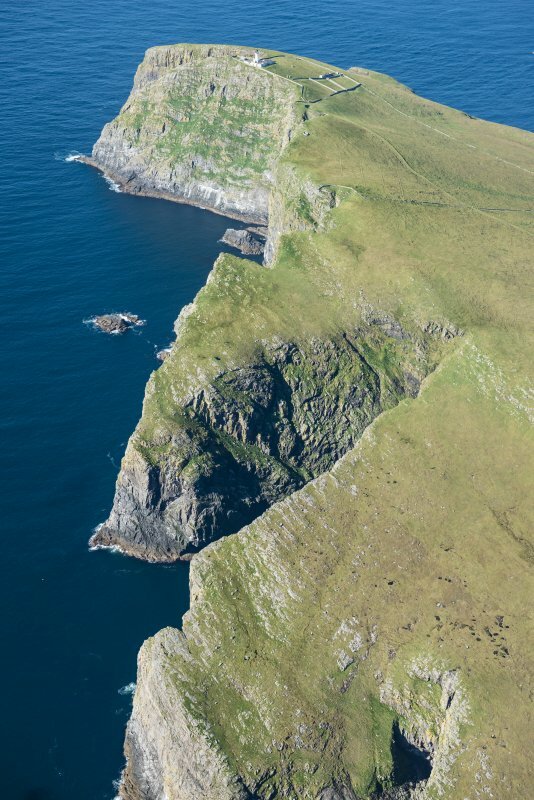 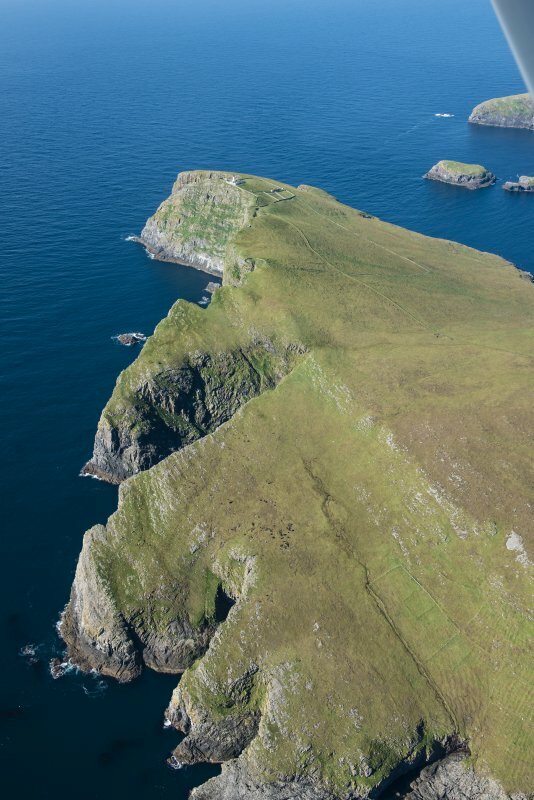 Oblique aerial view of Barra Head Lighthouse and the possible dun, looking WNW. 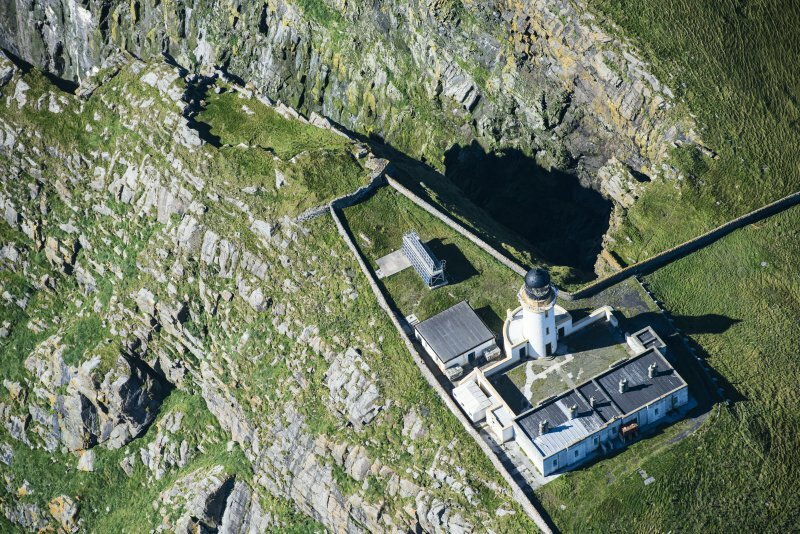 Oblique aerial view centred on Barra Head lighthouse, Berneray, with the remains of the dun adjacent, taken from the NE. 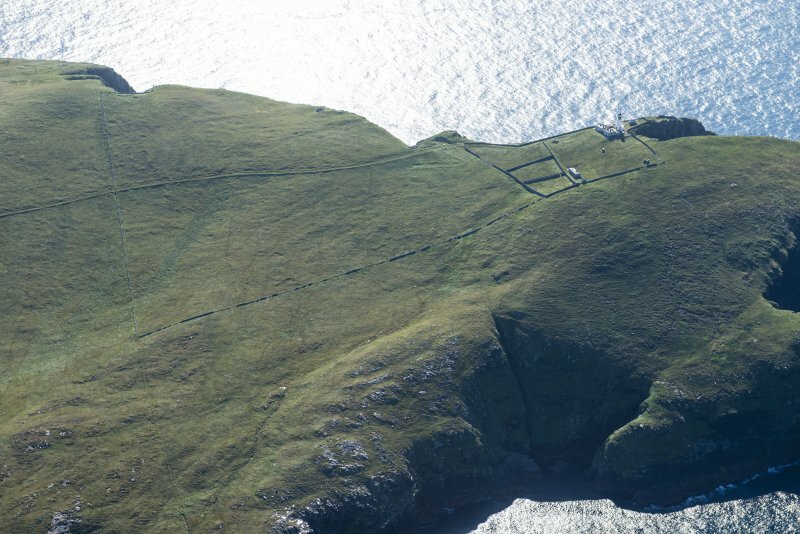 General oblique aerial view of the lighthouse with the island of Mingulay and those to the N in the background, taken from the S.
View of associated farm buildings from SW.
View from NW of lightkeepers' houses. 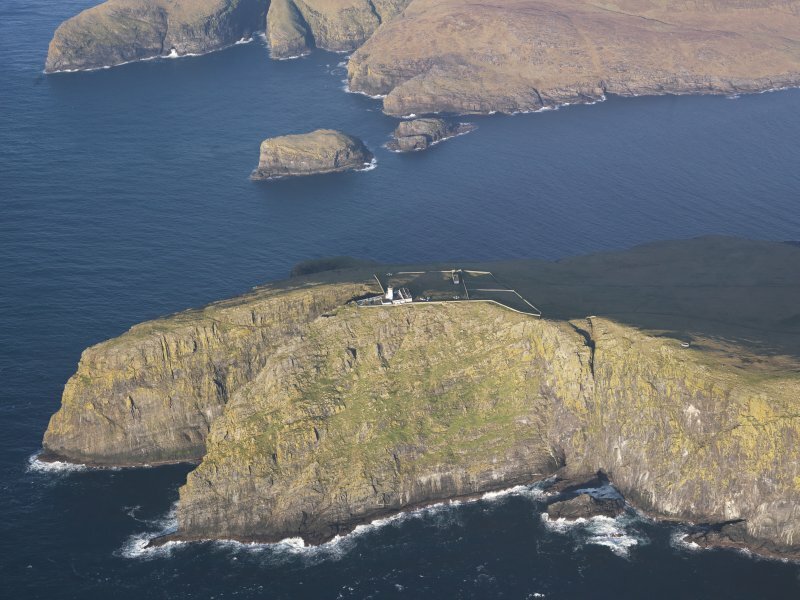 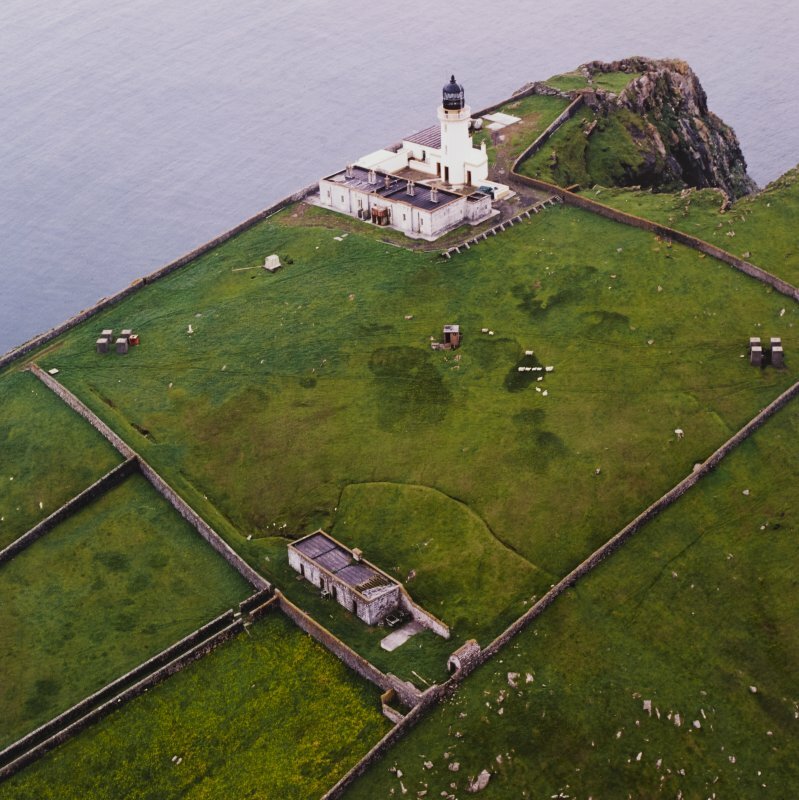 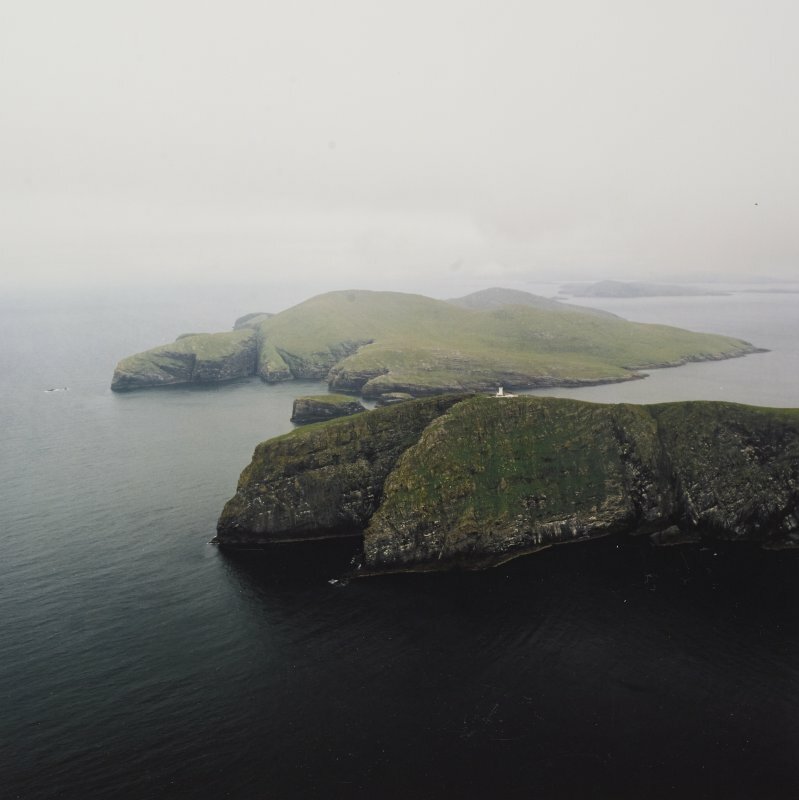 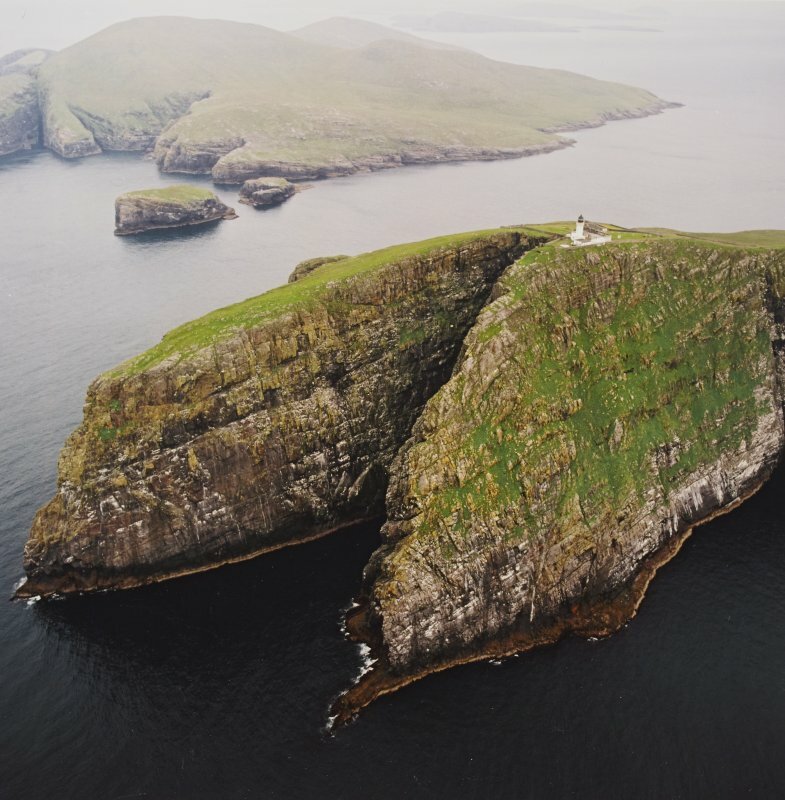 General oblique aerial view of the lighthouse with the island of Mingulay and those to the N in the background, taken from theS . 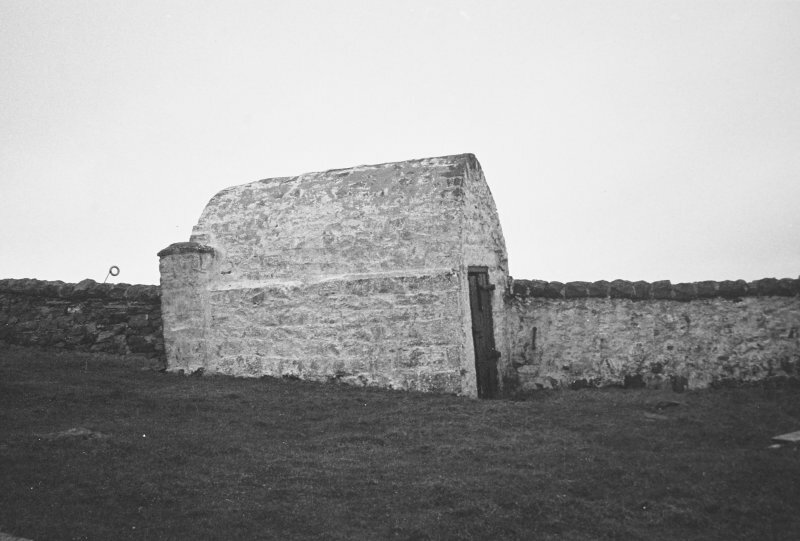 View from SE of vaulted building to N of range of associated farm buildings. 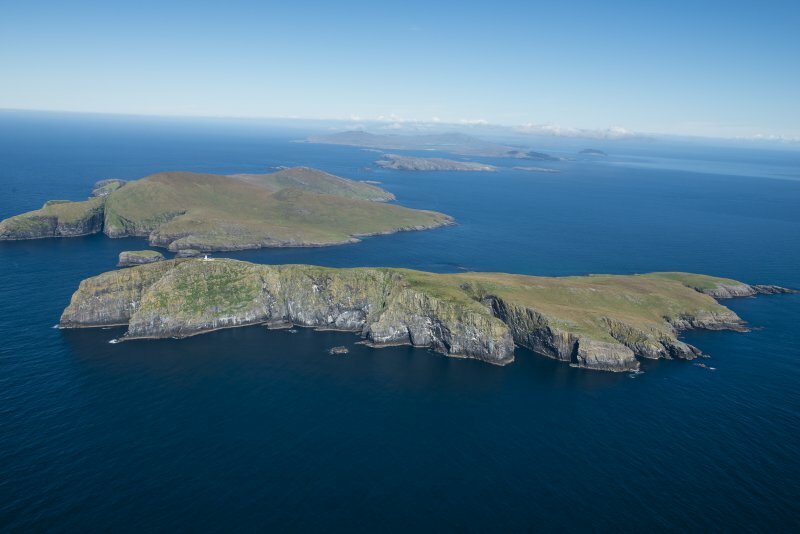 Oblique aerial view of Berneray and Barra Head Lighthouse, looking W.
Oblique aerial view of Dun Briste and Barra Head, looking ENE. 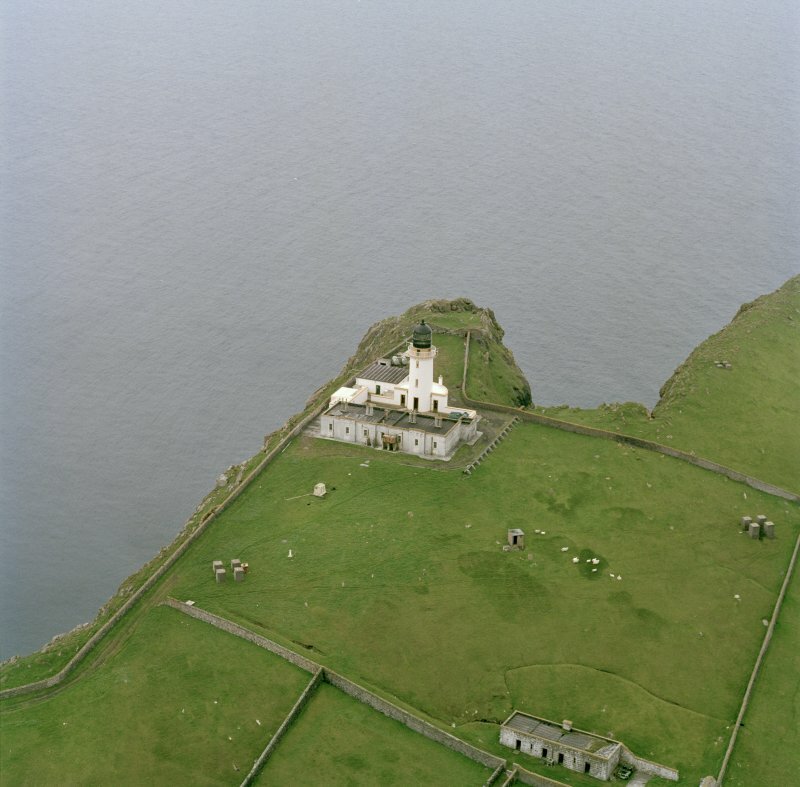 Oblique aerial view of Barra Head Lighthouse, the field boundaries and the possible dun, looking WSW. 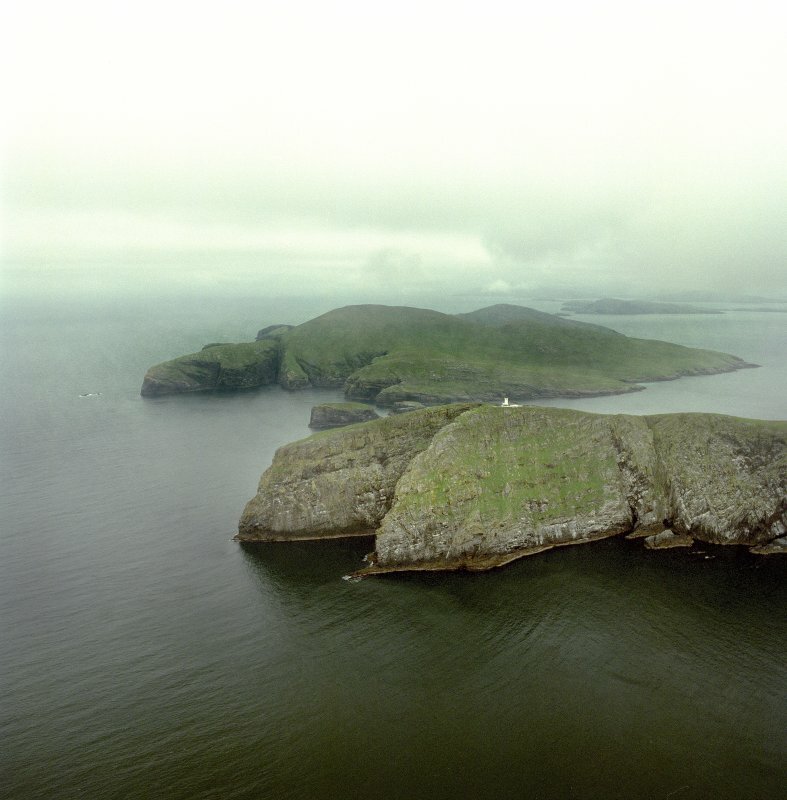 Oblique aerial view of Berneray, Barra Head lighthouse and Mullach A'Lusgan, looking NNW. 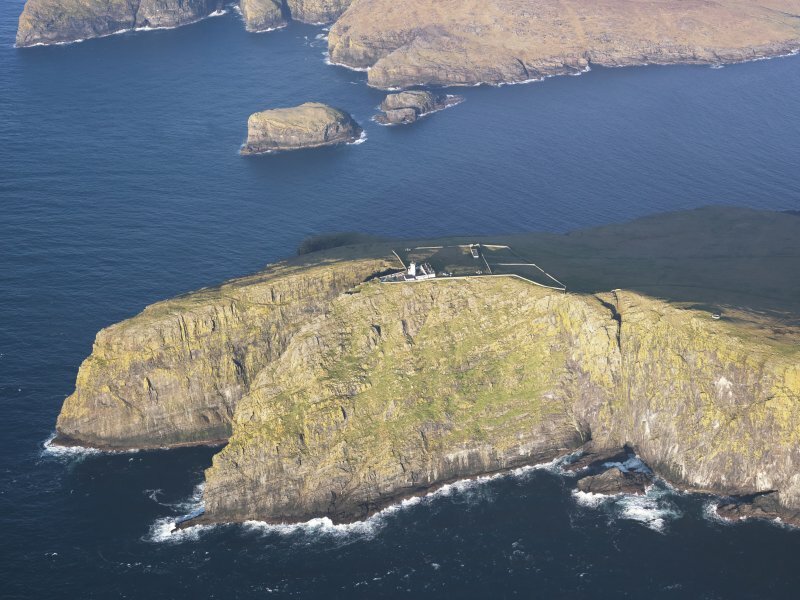 Oblique aerial view of Barra Head Lighthouse and the possible dun, looking W.
Oblique aerial view centred on the lighthouse with the remains of the dun adjacent, taken from the NNE . 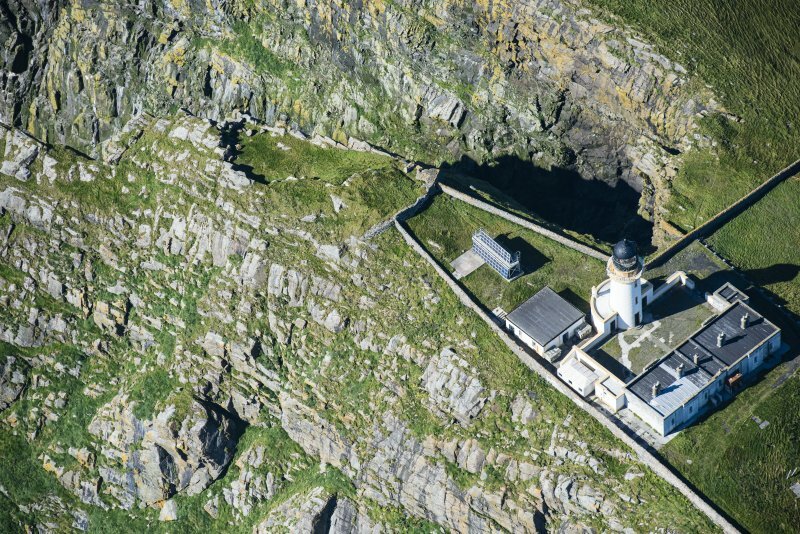 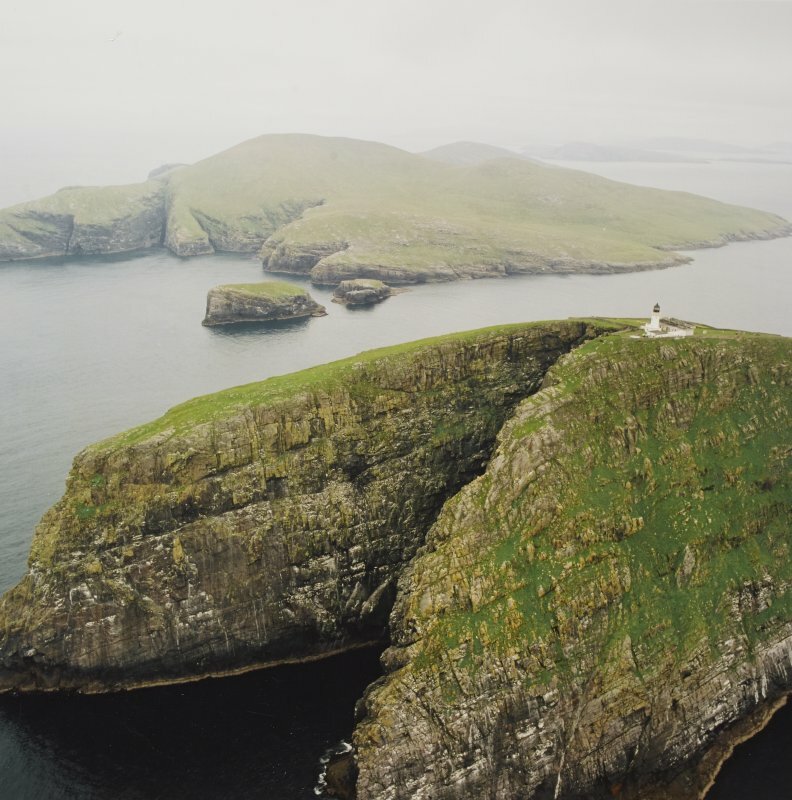 The final stepping stone in the Hebridean archipelago, with 190m high cliffs and sprayswept Barra Head at its southernmost point. 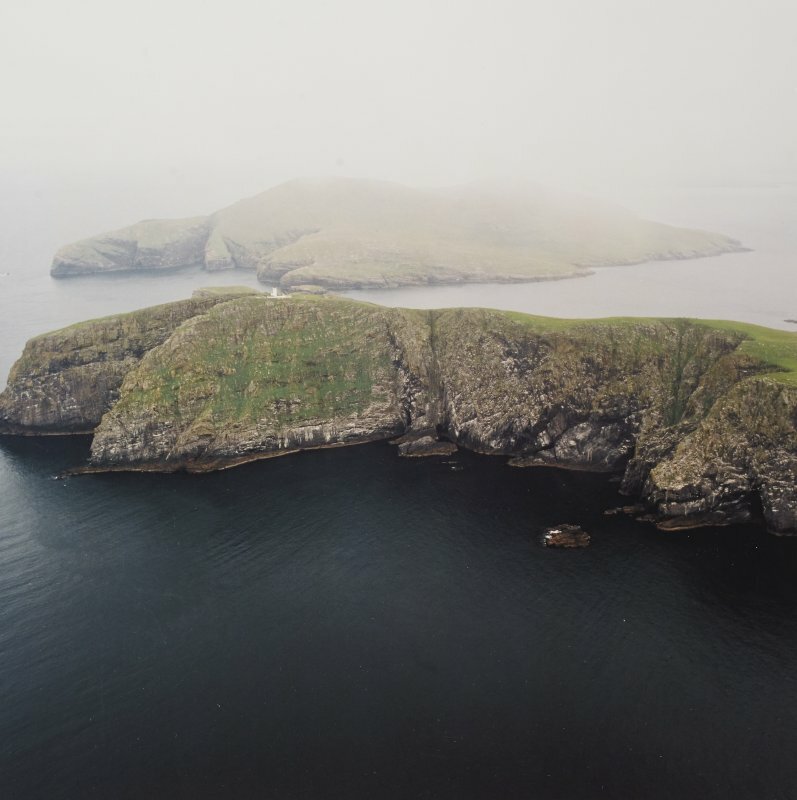 Round the principal settlement area on the island's north-east coast, and on the south side of its central ridge, archaeological evidence points to sites of Neolithic, Bronze Age, Iron Age and Norse vintage. 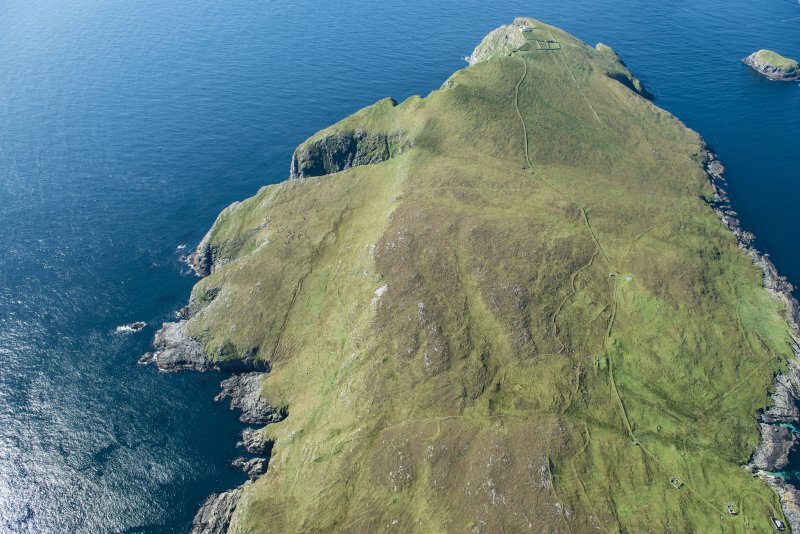 No trace survives of a chapel, but an early medieval cross-marked slab lies in the burial ground just south of Maclean's Point. 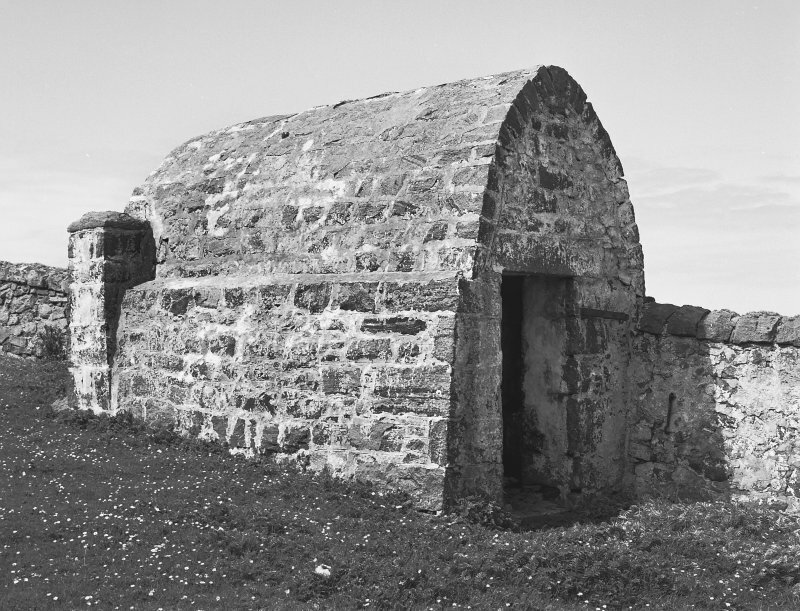 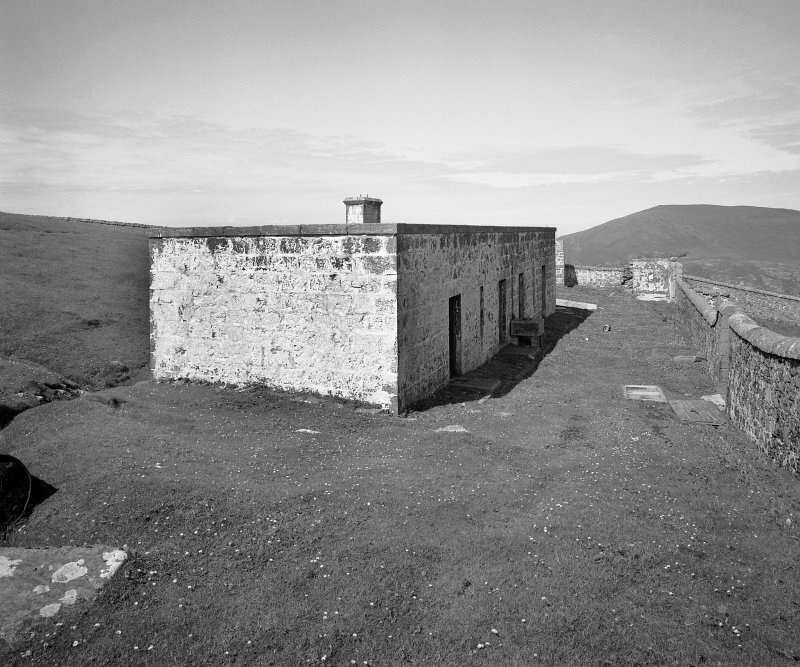 Berneray's population reached 28 in 1851; the last native islanders left in 1910. 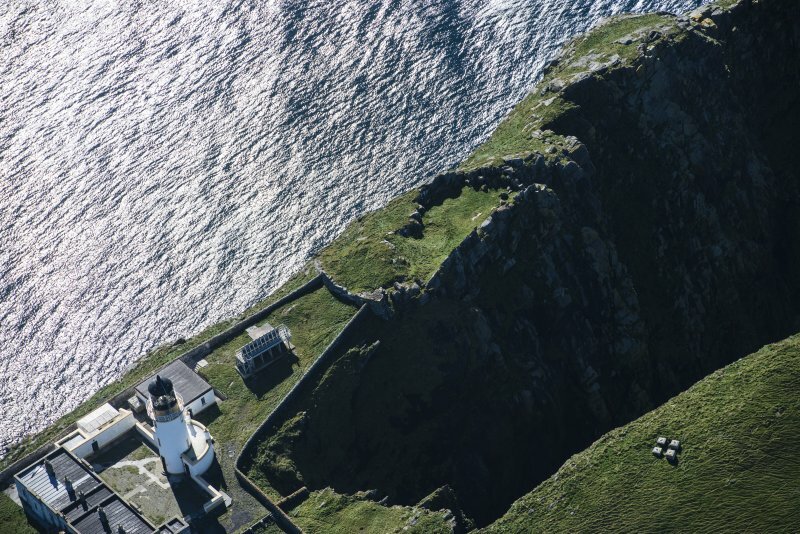 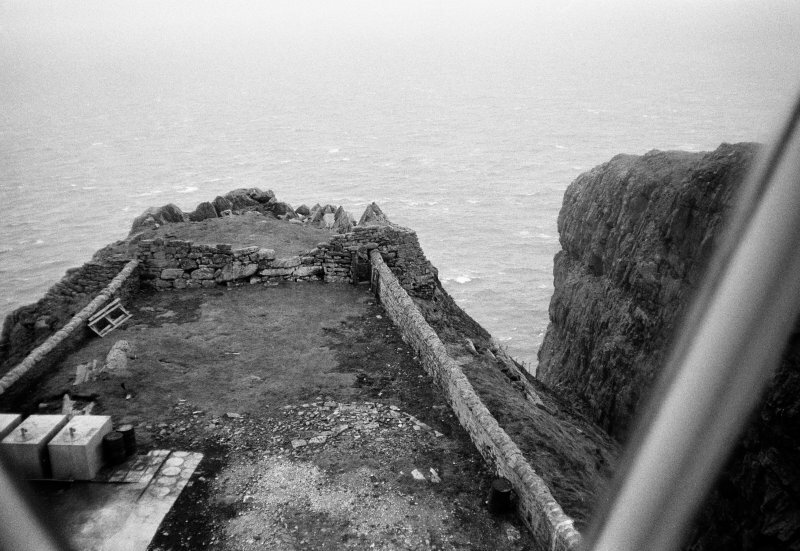 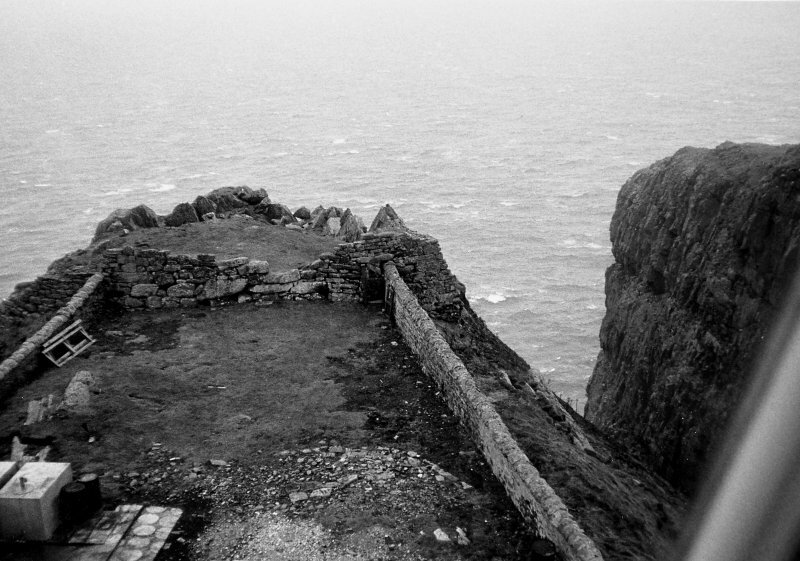 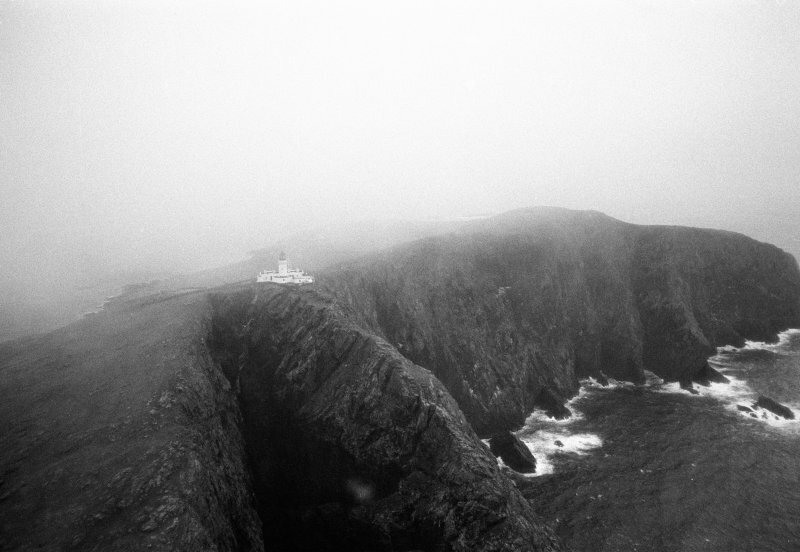 A half mile haul up Mullach a' Lusgan, and the Lighhouse keepers' graveyard lies near the cliff top, ringed by a massive wall. 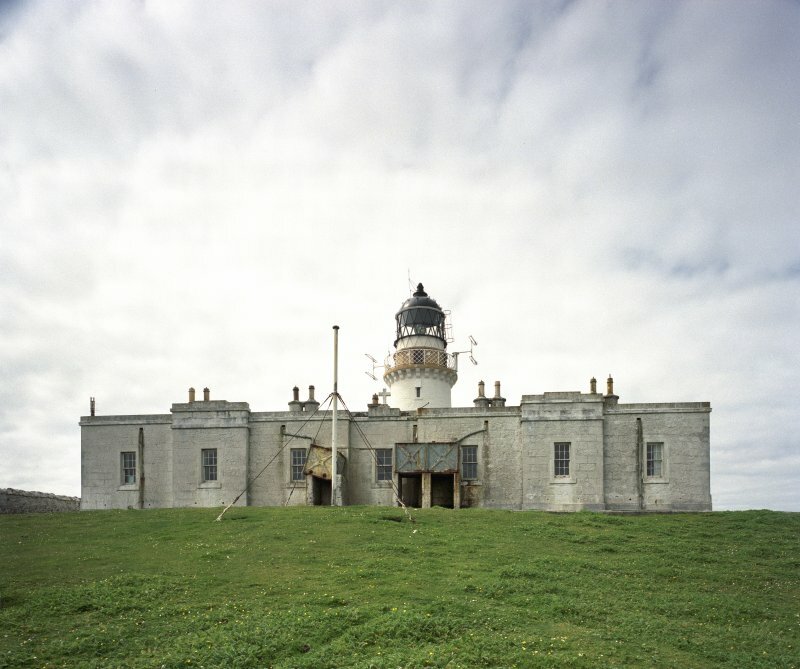 Barra Head Lighthouse, Robert Stevenson, 1830-33 , built by James Smith of Inverness Virtually identical to that at Hynish on Tiree, the granite lighthouse breasts the promontory of Sron an Duin, raising its light 580 ft above the Atlantic surge. 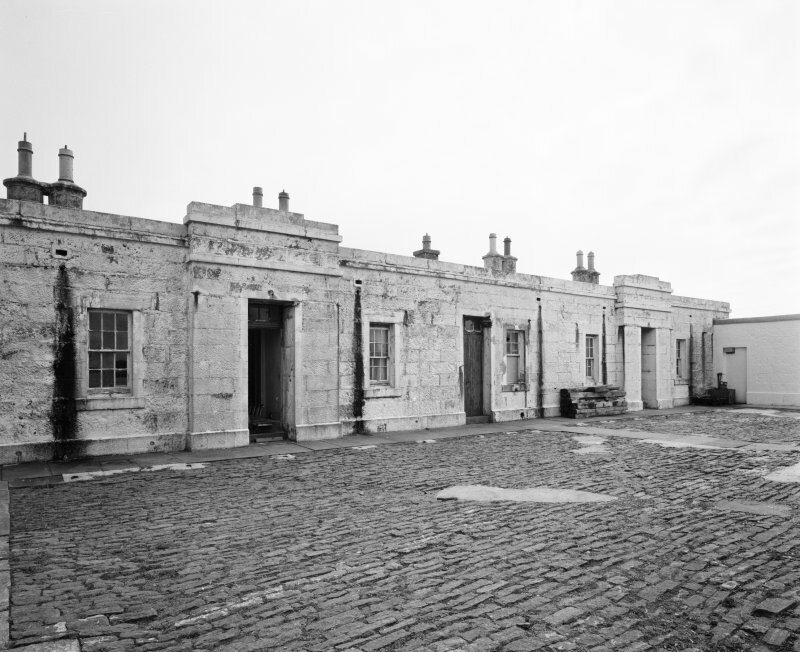 Across the cobbled courtyard (which in severe gales can be almost impossible to cross, and into which fish are sometimes blown) stands the low, flat-roofed terrace of keepers' cottages. 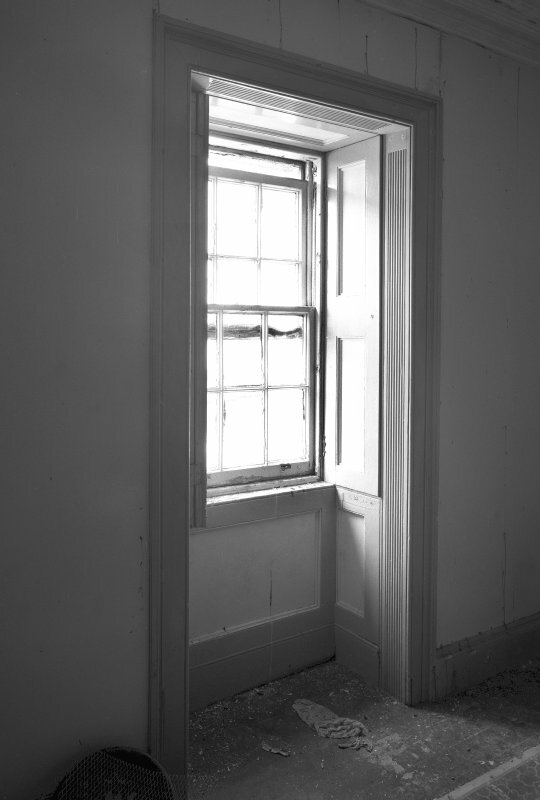 Graded in status, they might be in Edinburgh's New Town, such is the quality of their joinery: a curved door, fluted architraves, cornices, shutters and fielded panelling. 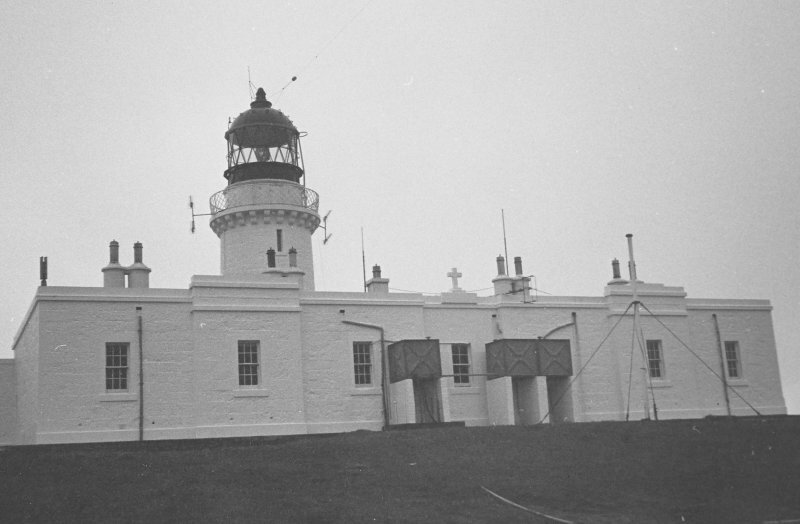 Lighthouse automated in 1980. 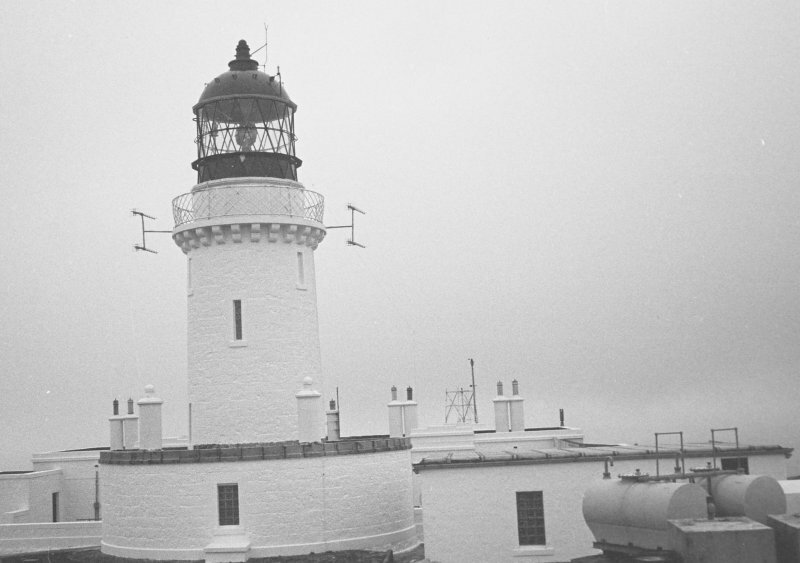 For building at NL5655 8036, see also NL58SE 44. 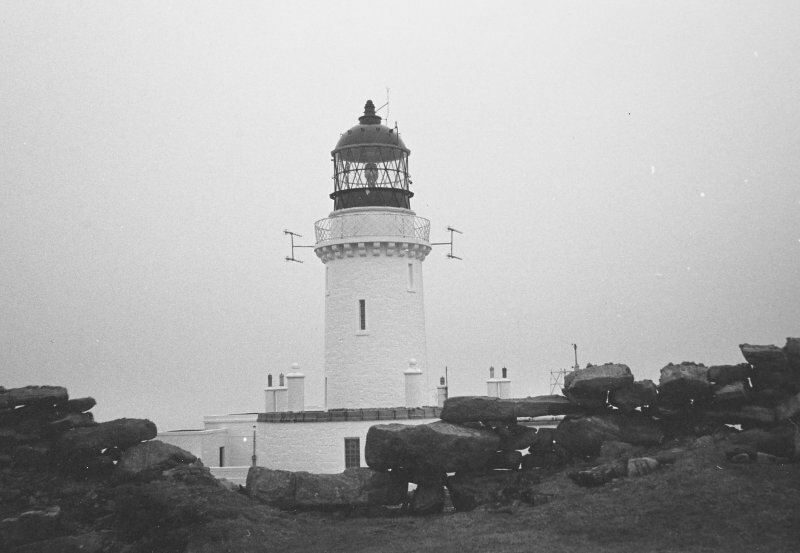 BY18: Lit 1833, engineer Robert Stevenson, became automated 1980. 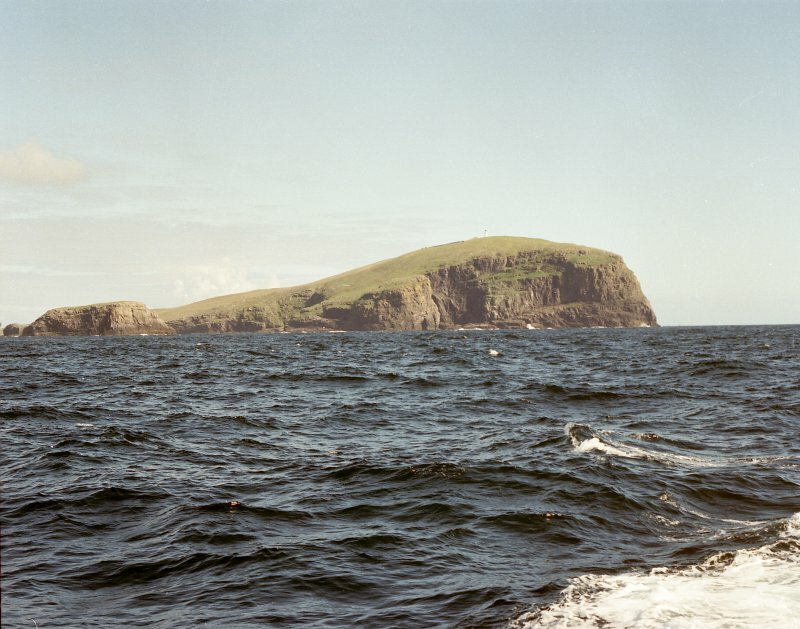 R W Munro 1979; K Allardyce and E M Hood 1986; NMRS MS/595/7. 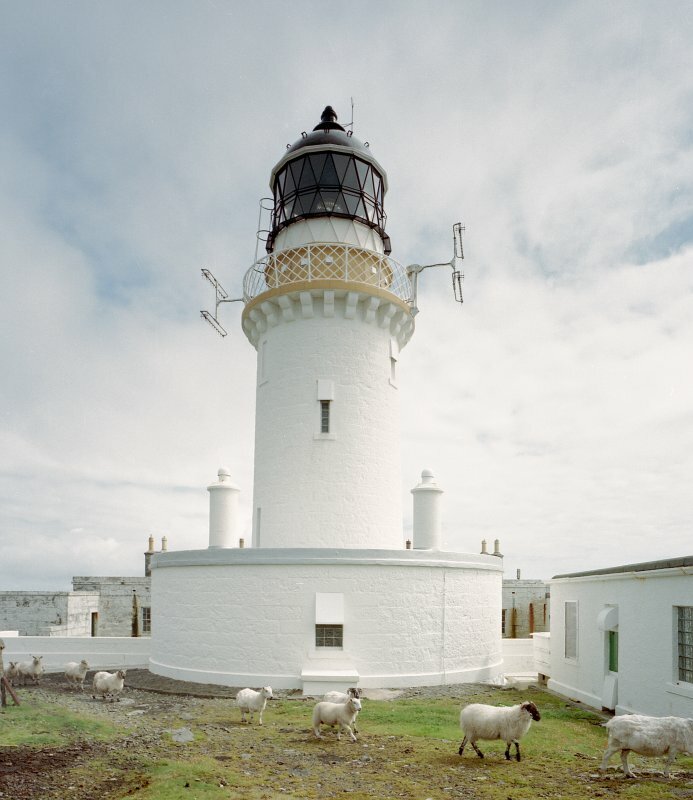 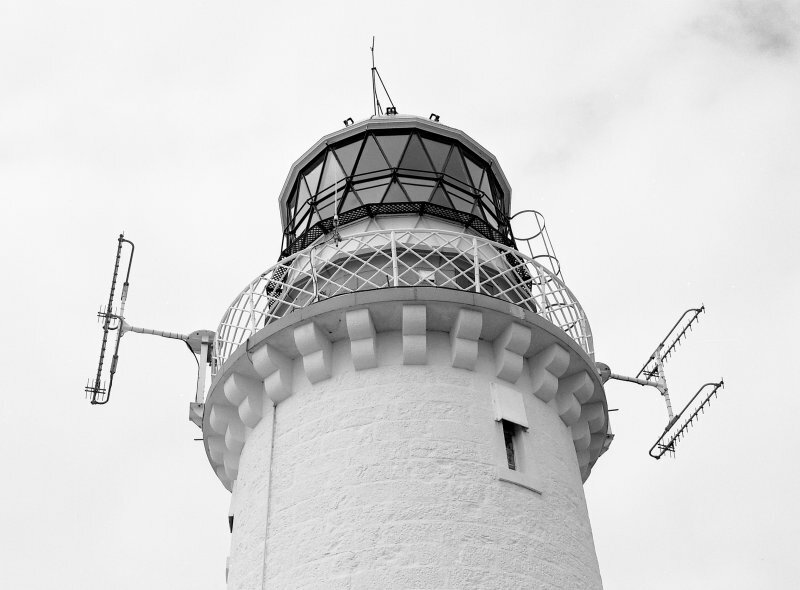 This stone-built island lighthouse was constructed in 1833, Robert Stevenson being the engineer and James Smith (Inverness) the contractor. 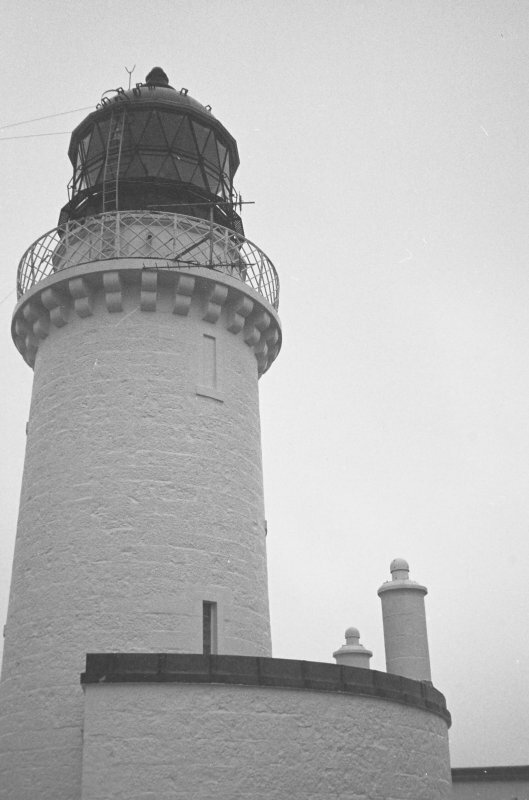 It was automated in 1980. 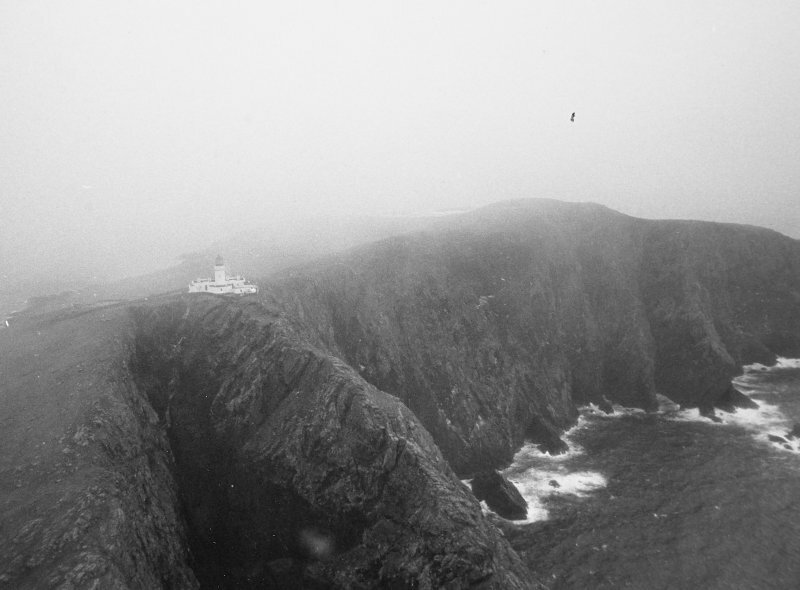 When constructed, this was both the highest (683ft asl) and the most fog-bound of all the Northern Lighthouse Board lights. 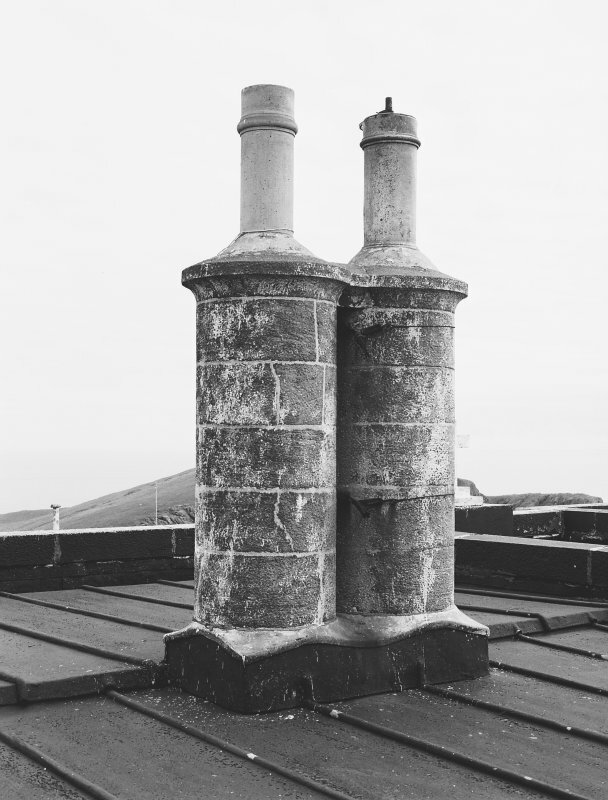 Hot water pipes were installed to heat the lantern in winter. 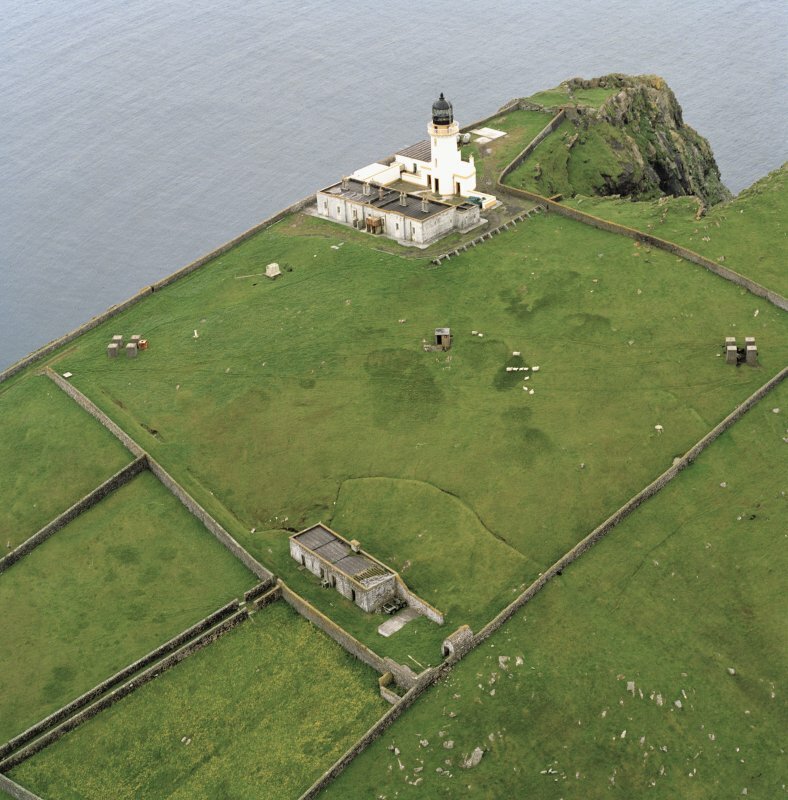 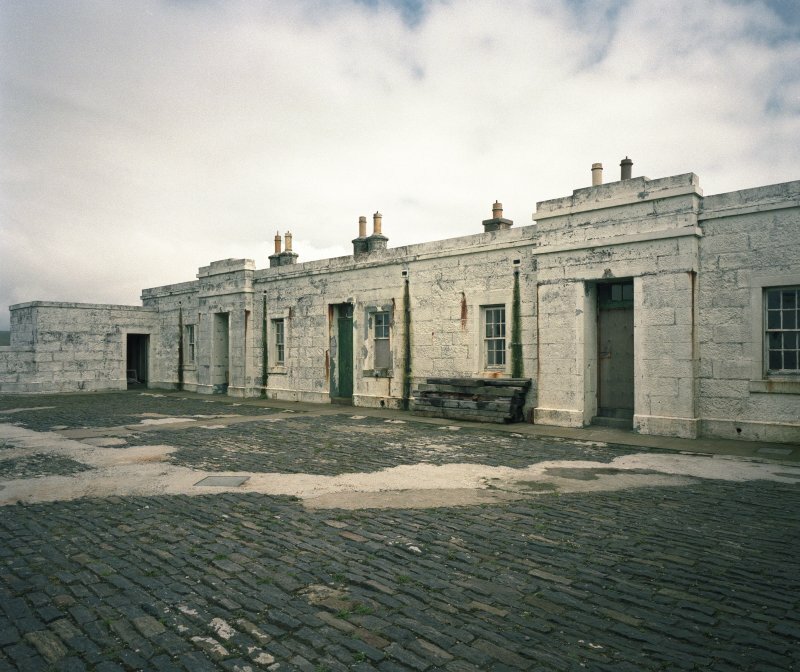 The lighthouse-keepers' houses (NL58SW 7.01) are adjacent, and the associated shore facilities were at Oban (Pulpit Hill).